Oracle engineered system for Application Virtualization is apparently newer. It is an integrated system that can virtualize with virtually any (x86) workloads. The Virtual Compute Appliance is the latest addition to the family of so-called Engineered Systems, through which Oracle exploit expertise in the integration of software and hardware and wants to sell their customers an advantage. Application Virtualization is a software which is isolated from the underneath the operating system increasing portability, manageability and compatibility. In Application Virtualization the software is actually not installed in true sense, they can be run as if it are installed. We talked about the theoretical aspect of Application Virtualization before. The recent release allows fast and repeatable installation of full-stack infrastructure. The wire-once system (The “wire-once” philosophy was created by AT&T during the mid-1980s, primarily to support the installation of telephone systems) comes completely pre-configured. Production workloads should be possible to put on with little effort on a software-defined configuration – IBM has its similar concept of “pure system” for some time in the market. 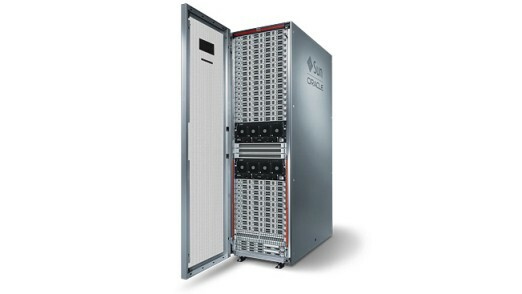 Oracle Virtual Compute Appliance is built around an Infiniband. Connected to existing Ethernet and Fibre Channel networks, it finds the pooled system interconnected modules that can use any virtual machine transparently. The system does not start a single point of failure, virtualized applications can at a hardware or software errors automatically. Besides the in-house operating systems, Solaris and Oracle Linux (based on RHEL) and Windows and other Linux distributions can operate the virtual machine. Oracle Virtual Assembly Builder customers can use pre-tested and configured Oracle VM templates and attach complete application stacks from Oracle operating system, database, middleware and business applications. Trusted Oracle partition Customers can take Oracle software on vCPU base under flexible license. The Virtual Compute Appliance fits into existing network and storage environments, which is firstly facilitate the re-hosting of existing applications and on the other the deployment of new applications that access existing data. One can manage the new engineered system using the Oracle Enterprise Manager. New nodes can be used during operation. After connecting four cables and the power they are automatically detected, configured and used by the system. This Article Has Been Shared 6909 Times! Linux distribution is a Linux Distributor assembled collection of program packages. It consists of at least the Linux kernel and some needed system programs. Kernel based Virtual Machine (KVM) is a Linux kernel infrastructure for virtualization which runs on x86 hardware with hardware virtualization techniques. RAID is the acronym for Redundant Array of Independent Disks used to organize multiple physical hard drives in computer to function as a logical drive. Desktop Virtualization provides a complete work environment. Custom configured operating system of the guest systems are stored on the host systems. VMWare Fusion or VirtualBox for Mac ? VMWare Fusion and VirtualBox both are virtualization softwares. First is a paid software and second one is a Free Software. Which one is right for your Mac ? Cite this article as: Abhishek Ghosh, "Oracle Engineered System for Application Virtualization," in The Customize Windows, August 31, 2013, April 26, 2019, https://thecustomizewindows.com/2013/08/oracle-engineered-system-for-application-virtualization/.